1. An infectious disease caused by bacteria that is transmitted primarily through the urine of infected reservoirs and can affect rodents, dogs, horses, and other mammals, including humans. Leptospirosis, a zoonotic disease—meaning it can be transmitted between animals and humans—is fairly unknown to the general public. But it is important to be aware of because it is rather common and can make people and animals quite sick, says Marieke Rosenbaum, DVM, MPH, MS, from the Department of Infectious Disease and Global Health. Some species are known to be reservoirs—animals that can carry the pathogen, and the pathogen is able to replicate in their bodies—for the infection, explains Dr. Rosenbaum. Rodents, for example, are known to carry “Lepto” and are thought to be responsible for transmitting it around the environment. This disease, found worldwide, often occurs in the kidneys and therefore, the bacteria are often eliminated through the urine of an infected animal. “It can survive in the environment under optimal conditions for quite some time—especially in the water and on biofilm that can form in mud or on the water,” explains Dr. Rosenbaum. 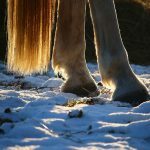 What does that mean for your horse? 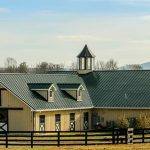 Because rodents and barns often go hand-in-hand, it is important to be vigilant. To help prevent Leptospirosis from infiltrating an environment like a barn or pasture, avoid the build-up of standing water or puddles, change water supplies regularly, and try to prevent access to drinking water from wildlife that may be in the area. Leptospirosis most often enters the bloodstream through mucous membranes in the mouth or eyes, and can sometimes be absorbed through broken skin as well. 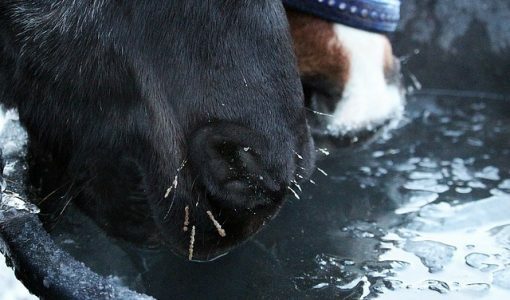 Therefore, the primary place horses will contract the infection on the farm is through drinking or splashing in water buckets and troughs, as well as puddles and ponds. A bacterial disease that can cause a wide range of symptoms, Lepto often presents in a non-specific way, is asymptomatic or mistaken for other diseases. Fever, chills, and anorexia, and eye redness or discomfort may be among the general symptoms; however, in more severe cases, Leptospirosis can cause recurrent uveitis, abortion in pregnant mares, or renal failure. 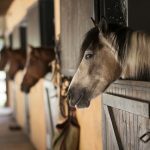 Because it is a zoonotic disease, it is important to quarantine any horse that becomes infected and to take biosafety precautions while caring for him. Leptospirosis is treatable, and as is the case with most diseases, the earlier you catch it, the easier it is to treat, says Dr. Rosenbaum. “It is really responsive to systemic antibiotics and there’s a range of antibiotics that can be used and are effective against acute Lepto infection,” she explains. The takeaway? Prevention is key. 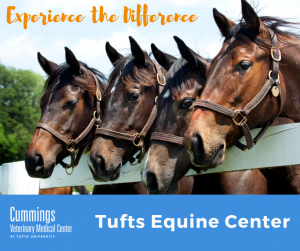 There is an annual vaccine that is recommended for equines. However, while the vaccine typically covers a few strains of the disease there are also a number that it may not protect against so it is still important to take steps to decrease contact with rodents as much as possible, keep water fresh, and prevent standing water in paddocks. It is also imperative to know your horse’s normal vitals so that you can easily tell when there may be even minor issues. 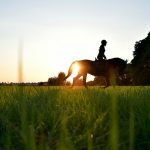 By taking proper precautions and preparations, you will be helping to keep your horse, and yourself, healthy.